Nordic Hockey Academy together with GoalieSam Hockey Schools and Elite Hockey Camp Sweden design the development philosophy and training content for the program. GoalieSam Hockey Schools and Elite Hockey Camp Sweden contribute with the long experience in organizational and administrative help as well as designing the coaching philosophy, where Nordic Hockey Academy is an expert in combining academic studies with professional all year round coaching program. New International ice hockey high school Academy (NHA) is an exclusive program, which is targeted for players who understand and respect the importance of academic education and combining that with professional sports. Unique and specifically designed training program with long-term development philosophy to achieve results both as a ice hockey player but also academically. One major focus of our program is to develop players towards professional hockey leagues but also encourage and support our players to achieve results in school in order to be able to combine hockey and studying also after high school. Nordic Hockey Academy players are all Skien Ice Hockey Club members and represent Skien Hockey while playing in the Norwegian (U18-U20) league. Our training Facility- Skien Fritidspark is one of the best and largest training centers in Northern Europe and provide a very pleasant and professional environment for our athletes to develop. New players and recruits are invited for a open try out event (November/ December) and which after schools shall be applied between 1.1-1.3 each year. Nordic Hockey Academy story started from AAA+ Lions Cup tournament in 2016 May in Finland, where our newly recruited team played against top level Finnish and Swedish club teams and ended up winning Silver Medal in the tournament. That was the best result any Norwegian group or team has ever achieved in such international tournaments so far. 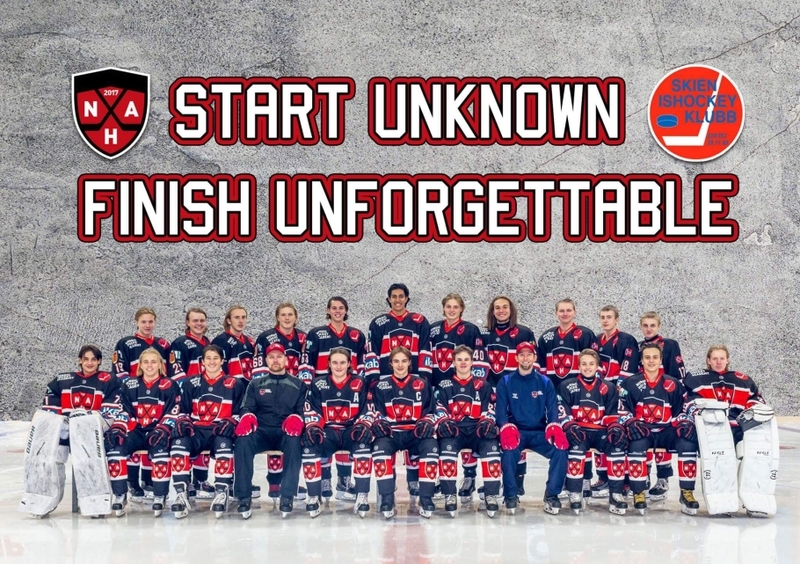 August 15th 2017 - the first official Nordic Hockey Academy team moved to Skien, Norway and started a new chapter in their lives, where the team created a slogun "start unknown- finish unforgettable". 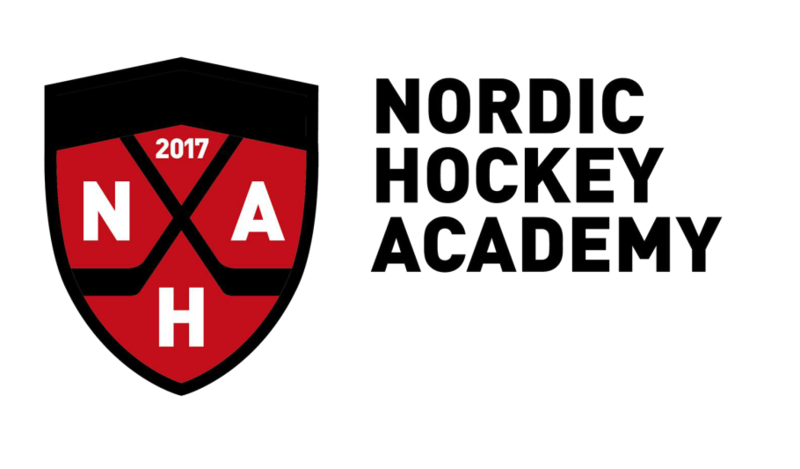 Now 20 players from Norway, Finland, Sweden, Austria and Slovakia play for the new NHA U18 team and study in 5 different co-operation schools we have in the area.